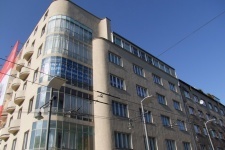 Świętojańska Street is the most coherent part of the Gdynia Modernism Route in terms of architecture. A summer walk particularly confirms us in the belief that Downtown Gdynia should have the nickname "the sunny city". 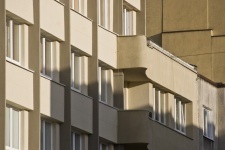 The most important artery in Gdynia is so rhythmical not only because of the compact rows of modernist tenement houses, but most of all because of the sunlight which illuminates upper facades of the houses located on the western part of the Świętojańska Street, while in the afternoon, coming from the side of St. Maximilian Hill, fills the entire street with brightness. The Route makes a peculiar scene for the spectacle in which the sun and architecture play main roles, and which we can admire in different arrangements and intensity of chiaroscuro. 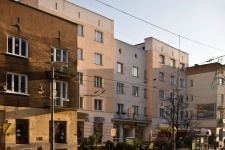 Compact frontages and "free facades" of the tenement houses facades facilitate observation of the street between the Kościuszko Square and Aleja Piłsudskiego. 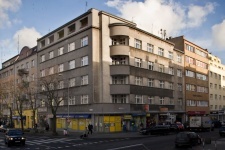 The most interesting modernist buildings on the route include two corner tenement houses at the intersection of Świętojańska and Żwirki i Wigury Streets. 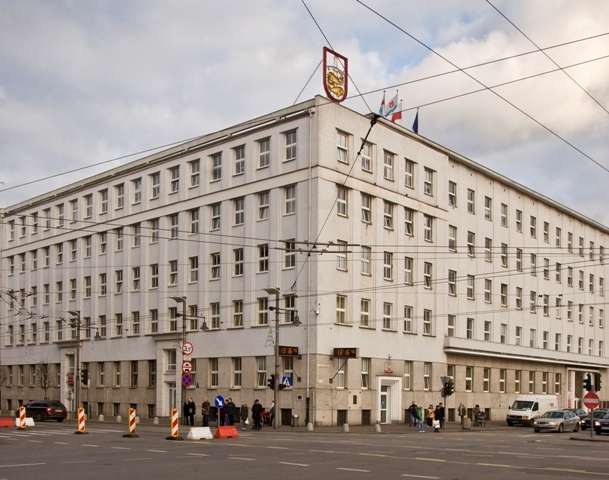 First of them – The Orłowski Family Tenement – is a luxurious corner house which effectively combines cubic forms with aerodynamic ones. 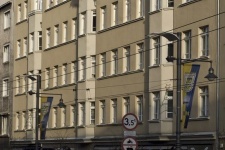 The tenement "attracts light" due to the bright colour of its façade covered with limestone tiles and its corner location in the western part of the Świętojańska Street. 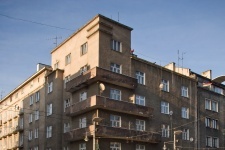 The second one – the Kreński Family Tenement – makes an example of interesting combination of moderate modernism (rhythmical pilaster strips which divide the façade) with expressive character of late functionalism (swaying balconies and ribbon windows) from the side of the Żwirki i Wigury Street. Both houses are extremely photogenic. 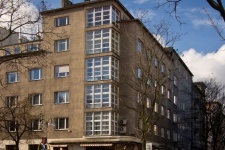 An interesting story is connected with one of the oldest and biggest modernist tenement houses at 53 Świętojańska Street – the Stankiewicz Tenement. The story of building the tenement, its residents and owners was nicely illustrated in display cases located in its renovated entrance gate. Some of the corner tenement houses on the Route resemble ships or passenger ferries in their silhouettes and size (e.g. 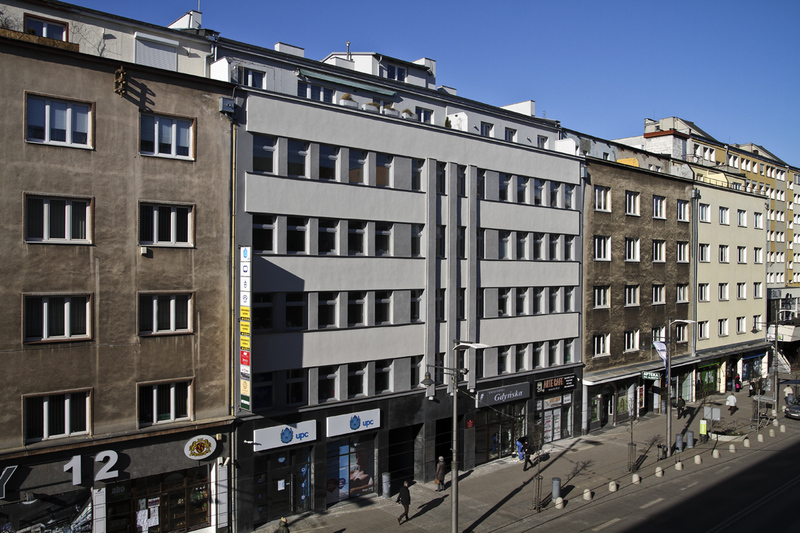 at 89 Świętojańska Street), and the impression is intensified by the vicinity of the sea and straight line of street axes, similar to the wharf ones. 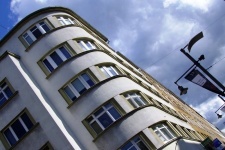 The charm of the "Świętojańska Street" route also lies in its picturesque side streets, gateways, yards, magic galleries, boutiques, patisseries and cafes which you cannot resist long. At the end of the "Świętojańska Street" route an excellent dessert is awaiting us. 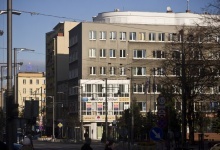 It is worth remembering the address 122 Świętojańska Street. This corner tenement house can give you a real pleasure and prickle of excitement. 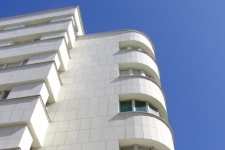 Its distinctive line, highlighted with a stylistic "s" and a wide southern elevation with characteristic rows of little balconies as if stuck to the texture of colour plaster is as attractive for enthusiasts of photography as the famous Blikle doughnuts. Glazed corner part meant to house the so called "winter gardens" gives the tenement more modernity and prestige. It brings about associations with such icons of modernism as e.g. the IBEX building in London.